The Silverado 2500 HD (for 'heavy duty') and its near twin GMC Sierra 2500 are true rough and tumble workhorses, but with enough creature comforts and modern amenities, they serve as versatile mobile workplaces. High points include a diesel powertrain that's cultured and brawny, and an intuitive infotainment system. 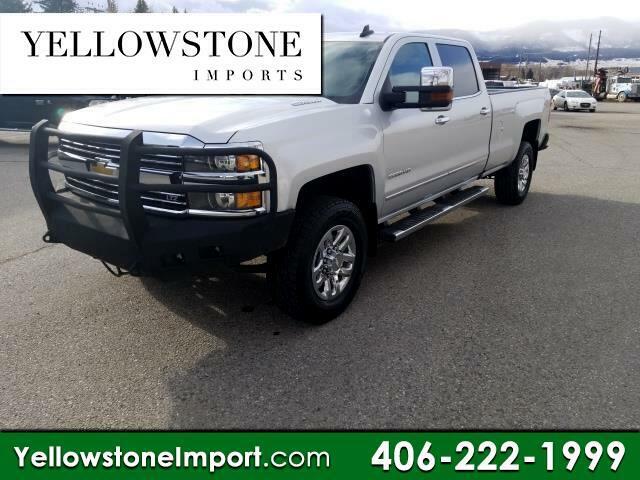 However, for day-to-day comfort, we'd avoid the super-stiff Z71 suspension.____The Duramax engine and Allison transmission employed make for an impressive team, allowing the truck to benefit from a swell of smooth flow of power and making towing a breeze. Towing capacity is 18,100 pounds. That powertrain helps the big rig sprint to 60 mph in 8.2 seconds. We measured 14 mpg overall -- 2 mpg less than what we measured in our last tested Silverado 1500 with the gasoline engine.